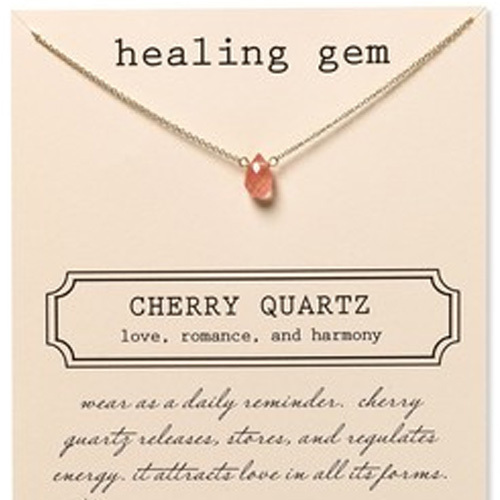 Dogeared healing gem in cherry quartz. Wear as a daily reminder. Card Message: Cherry quartz realeases, stores, and regulates energy. Also, attracts love in all its forms. Sterling Silver.